There is no text for this course. Instead we will use various online resources. Delete a file or directory? Can you do these things on Linux? If not try this free on-line course. Can you create an account on Google Drive and Microsoft One Drive? Do you have a system that ensures you can you remember your user name and password for these accounts? If not, consider this free on-line service. Can you create or access a Google or Microsoft text document? This is Google Write or Microsoft Word document. Not the Microsoft Word program found in the start menu on many computers, but Word on One Drive. Create a spreadsheet on Google Drive or Microsoft One Drive? If you don't know Git, try this free on-line course. Various diagrams to help understand commonly performed tasks. 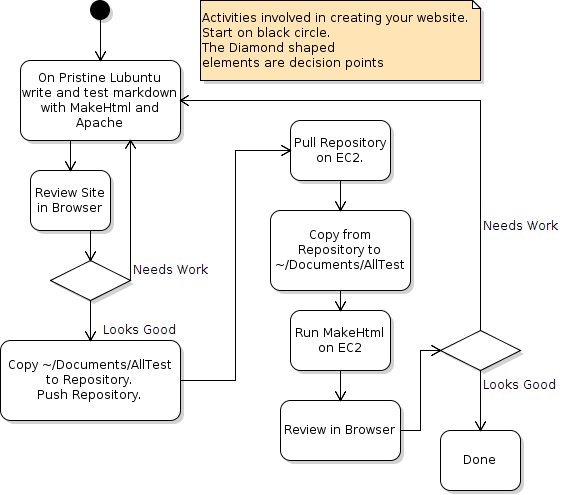 Review the activities involved in creating a web site on Pristine Lubuntu. 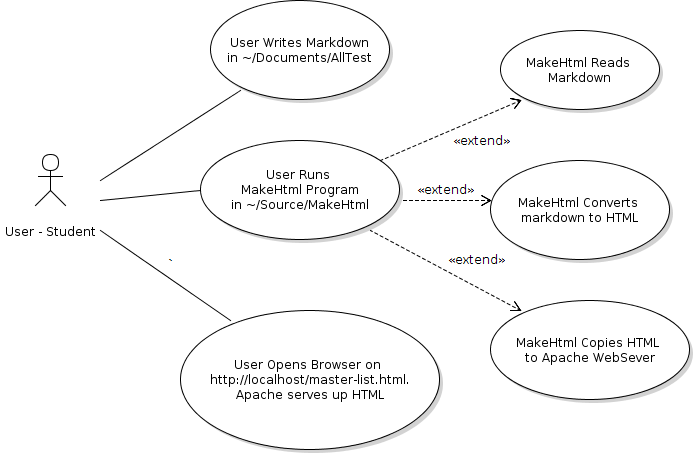 Review of how to run the MakeHtml program. 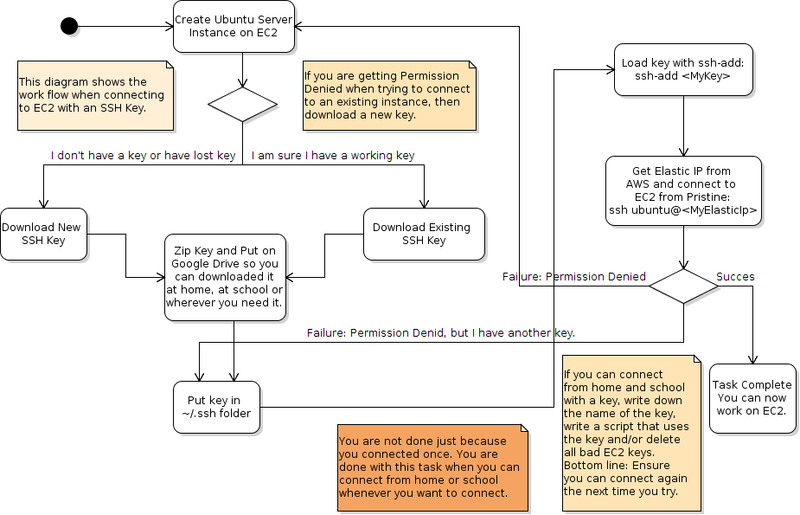 The workflow when connecting to EC2 with an SSH key. Once you have created the site on Pristine Lubuntu, you want to deploy it on EC2. 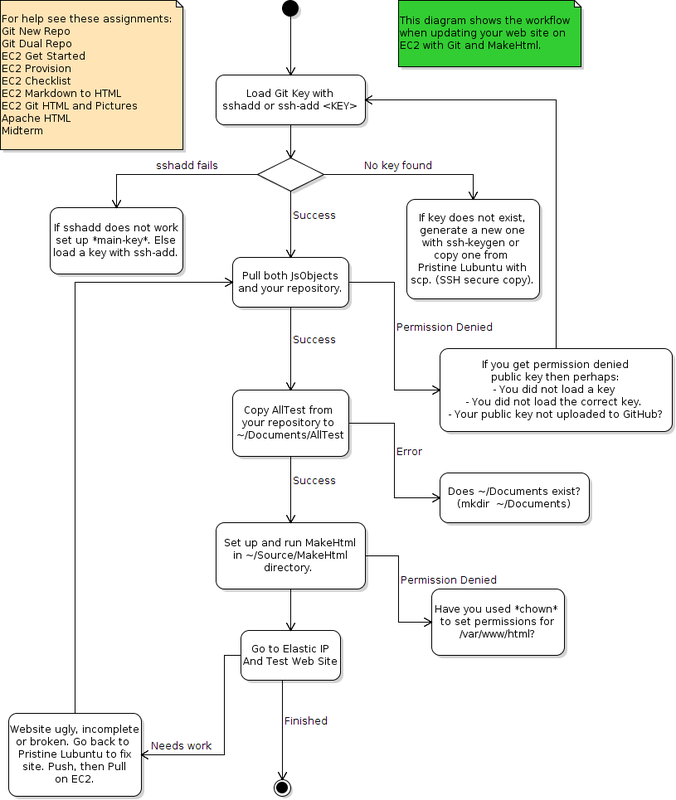 Here is how to proceed.